Five section stainless steel magnetic pick-up tool with textured grip and pocket clip. 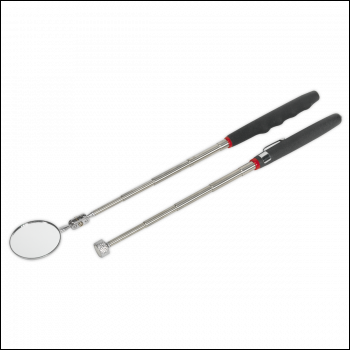 Ø13mm Magnet with 3.6kg capacity. 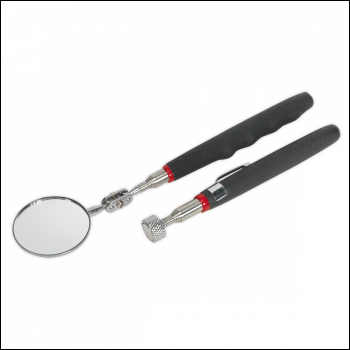 Five section stainless steel inspection mirror with textured grip and pocket clip. Ø50mm Mirror is mounted on twin ball joints for maximum articulation.